It is normal to shed about 50 to 100 hairs a day, but since we have about a million strands of hair on our scalps, this amount of hair loss does not cause noticeable thinning. Also, gradual thinning is a normal part of aging. As we become old, our hair naturally starts to thin out. What causes noticeable hair loss? Hair loss affects up to one-third of all men and women and can begin early in life. 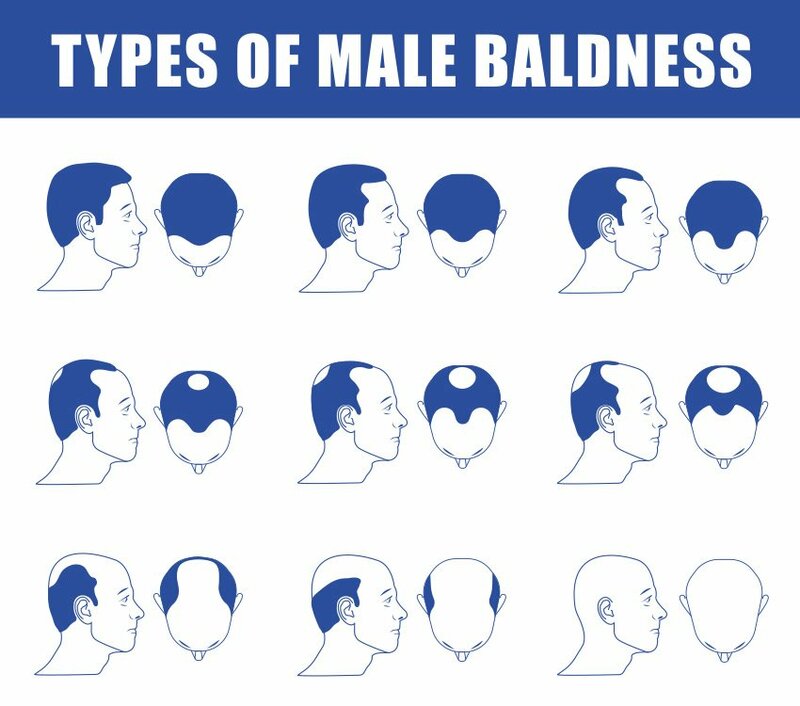 There are several causes of hair loss in men, but the most common cause is called male pattern baldness. This type of hair loss accounts for about 95% of cases and is usually caused by a combination of hormonal activity and heredity. Hair follicles in the scalp get smaller and over time develop a shortened hair growth cycle. Men typically notice hair loss around their hairline and/or top of their scalp.